The Student Engagers are a team of UCL postgraduates who bring research from across UCL to the visitors of the UCL Museums. Studying everything from Archaeology to Zoology, the researchers represent a wide variety of disciplines and bring their expertise to the museum collections in imaginative and interesting ways — for example, by talking about the trade of endangered species on the Dark Web or the technology used to uncover the text of medieval manuscripts. Engager Arendse Lund being wowed by the thoughts of some visitors. 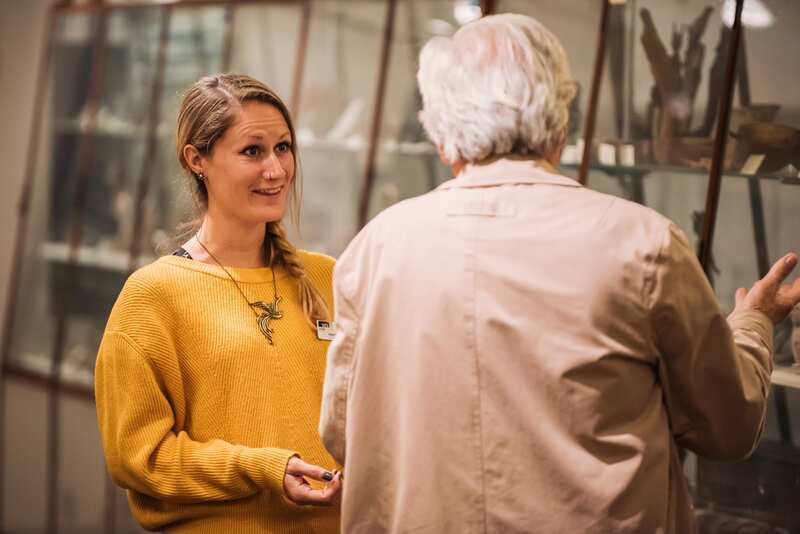 The Student Engagers can be found in each of UCL’s three public museums, talking to visitors about their research, the collections or the museums’ history. 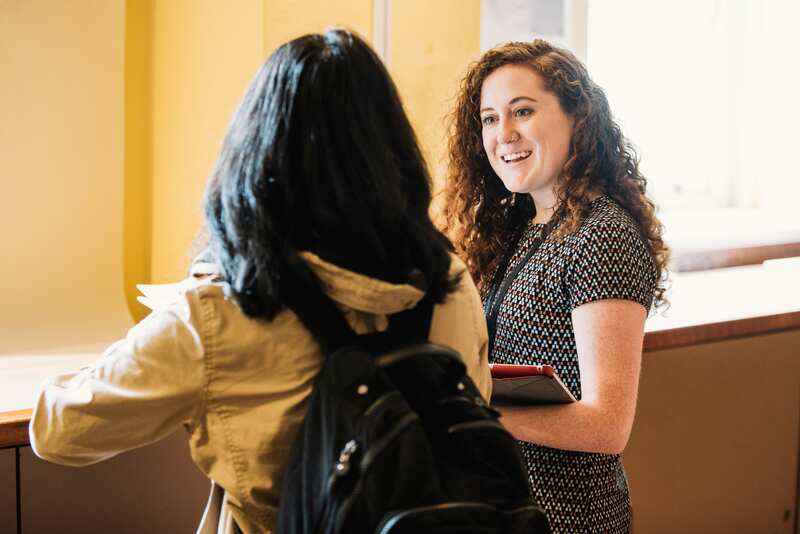 They also keep this blog, which documents some of these interactions, as well as providing a platform for Student Engagers to share thoughts on their research inspired by their time in the museums. And they run an annual public event which examines the overlap of different research disciplines along a thought-provoking theme. For instance, last year’s event discussed the ideas of justice from periods as diverse as pre-history, the Middle Ages, and the 21st Century. Engager Carolyn Thompson sharing her knowledge of Gibbon behaviour in the Petrie Museum. 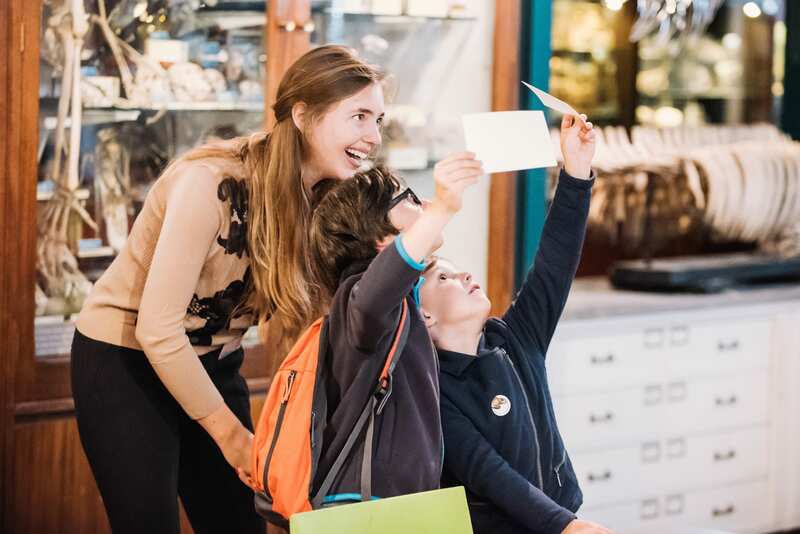 The UCL Postgraduate Student Engagement Project was established in 2012 to broaden public engagement with UCL research and collections, and to develop audience participation across campus museums. The Student Engagers are employed by UCL’s Public and Cultural Engagement Department with the goal of actively engaging with visitors in new and innovative ways and opening up new perspectives on the collections through the lens of cutting edge research at UCL. Through conversations with museum visitors, we hope to not only to engage others in UCL research and encourage visitors to think about the collections in novel and varied ways, but also to broaden our own research expertise. Open-ended discussions with visitors may stimulate ideas for new lines of research inquiry, and the questions we encounter will often spark off interesting ideas and challenge us to explore unexpected links. Engager Hannah Page talking with a visitor in the UCL Art Museum. If you spot one of us in the museums, say hi! Or email our team coordinator, Arendse Lund (arendse.lund.15@ucl.ac.uk).